Above rates are effective since April 2016. Application fee and Registration fee cannot be refunded. If you wish to cancel your enrollment before entering Japan, please notify it in written form 1 day prior to the entrance ceremony, the latest. ARC Academy will refund the tuition fee after Certificate of Eligibility and Acceptance Certificate have been duly returned. In case your visa application was denied by the Japanese consulate, in addition, you must provide copy of your passport page with the visa denial stamp. Without any written notice by the day before the entrance ceremony, the tuition fee of the on-going school term will not be refunded. Please note that all remittance charges upon refund will be charged to the recipient. Tuition fee corresponding to 2 school terms (6 months) cannot be refunded once you have entered Japan. 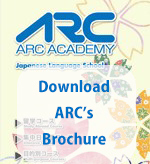 If you notify your withdrawal after you have entered Japan, ARC Academy will refund tuition fee after deducting a cancellation charge corresponding to 2 school terms tuition fee, and only after duly confirming your return to your country. Concerning withdrawal after entrance (where “entrance” is considered as the first day the student attends classes or takes part in a school event, such as the entrance ceremony), or withdrawal before completing the period you enrolled for, except for a cancellation charge corresponding to 2 school terms tuition fee, ARC Academy, will refund the remaining tuition fees for the school terms not yet attended in instalments of 3 months. Moreover, a 20% cancellation charge will be deducted from the refundable amount. Refund will be bank transferred after you have provided to ARC Academy either proof of your return to your home country, the entrance into higher education in Japan or your visa status change in Japan. No refund is possible in case the student is expelled for violating the law or school regulations. If you wish to extend your enrollment, you must submit an official extension request, the latest, one month before the period you enrolled for ends. Please note that extension might be denied in case your attendance rates are insufficient or applicants’ quota for the next term has been reached. Also note that you are not allowed to take the Study Abroad Course for more than 2 years. Tuition fees must be paid within the deadlines set by the school. Please meet payment deadlines, otherwise you will not be allowed to take classes. ARC Academy is not liable in the event classes are cancelled due to circumstances or conditions beyond its control. This includes, but is not limited to, earthquake, typhoon, accident or infective disease, etc. Refund will not be made in such circumstances. Please notify your withdrawal in written form. It is not possible to cancel or change the type of course once the course has started. There is an admission exam to access this class. Please inquire for more details. ※Make sure to check prerequisites to apply for Special Preparatory Class for University. Optional Courses for Exam Preparation are open to ARC students only. It is not possible to apply to the preparation course only. 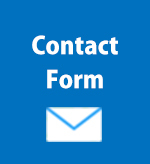 Every school term students receive details on how to apply to the optional courses. Please contact the school for more details. Concerning Private Lessons, please visit this page. ※Textbooks used vary depending on the class. Textbooks are available for purchase at school after students have taken the entrance level check test. ※Textbook used might also change without notice according to school curriculum updates.